Toronto Electrician | Argon Electric Ltd.
Count on Etobicoke-based Argon Electric Ltd. for all your residential, commercial and industrial electrical needs. Backed by a combined experience of over 25 years, our highly skilled electricians serve Toronto and the GTA, with cost-effective electrical solutions. 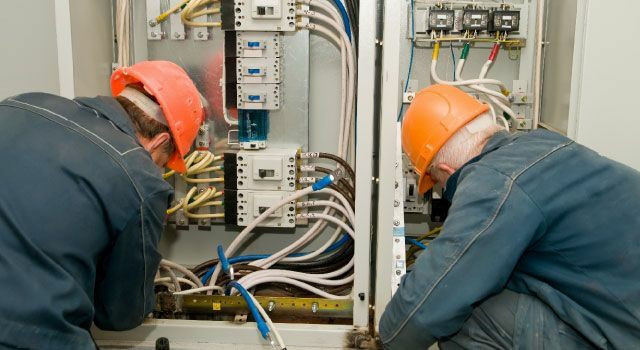 Whether you're looking for installation of new electrical systems or electrical repairs and maintenance, we'll manage your big and small electrical jobs in a timely and efficient manner. Your peace of mind is important to us. Licensed by the ESA (Licence # 7001 139), our company takes pride in providing you with service you can trust. You can rest assured that we follow safe work practices for your electrical jobs to ensure your safety and the safety of your family. At Argon Electric, all our work is guaranteed. From electrical design to installation and maintenance, we stand behind the exceptional quality of our services. Our prompt, courteous and honest electrical experts will get your job done to your specifications, based on the electrical requirements of your home or office. Call us today to get a free estimate from a professional electrician in Toronto. Licensed by Electrical Contractor Registration Agency of the Electrical Safety Authority.